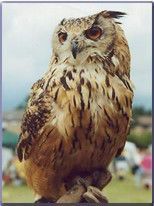 See & handle birds of prey in Norwood Park this Saturday afternoon 2pm to 4pm on 9th August – organised by Friends of Norwood Park with help from Norwood Forum. The Hawking Centre are bringing a team of birds – from owls to hawks – to Norwood Park, by the play ground and Hungry Hippo cafe on Salters Hill SE19 1DZ. Entry is free and donations to Friends of Norwood Park are welcome.